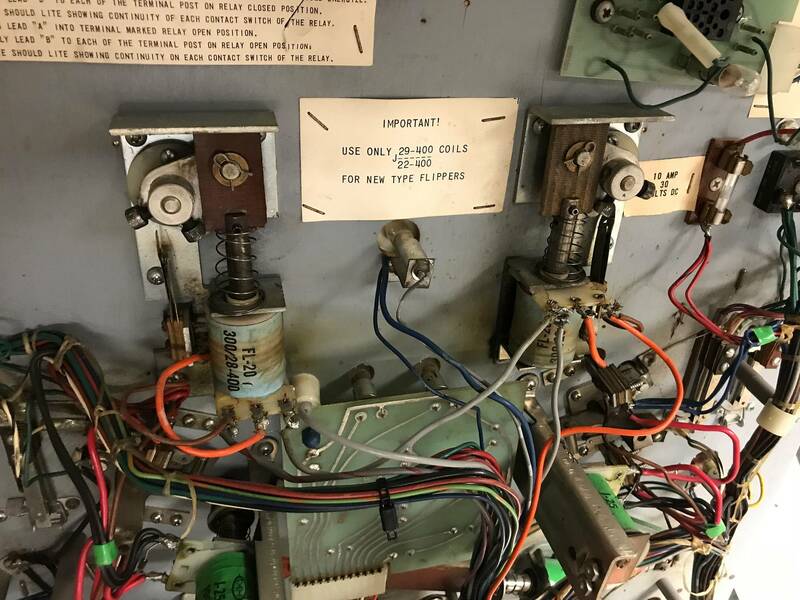 I recently picked up a Juke Box (my first machine so far) that was mostly non-functional when I got it home; the score relay runs forever on startup, but manually activating the reset relay allows a ball to kick out and the game to be played. When I picked up the game, the flipper coils were disconnected. I have since attached the appropriate wires where they belong, and I am seeing a solid 30V AC at the power lugs. I also completely disassembled the EOS switches and cleaned them, so the contacts are now shiny and bright. While I had the coils out, I noticed that custom brass coil sleeves were in place, so I replaced those with nylon, and now the plungers move smoothly through the coil when hand-activated. Does anyone have any insight into why the flippers would be so weak? I have searched around, but so far nothing seems to be helping. I have been helping Mark with this issue as well as another one involving the score motor running upon startup. Both flippers are behaving the same way. We have tried to adjust the coil stops and cleaned up the mechs to no avail so any help would be appreciated. I've attached a picture to see if any of you see something glaringly wrong. 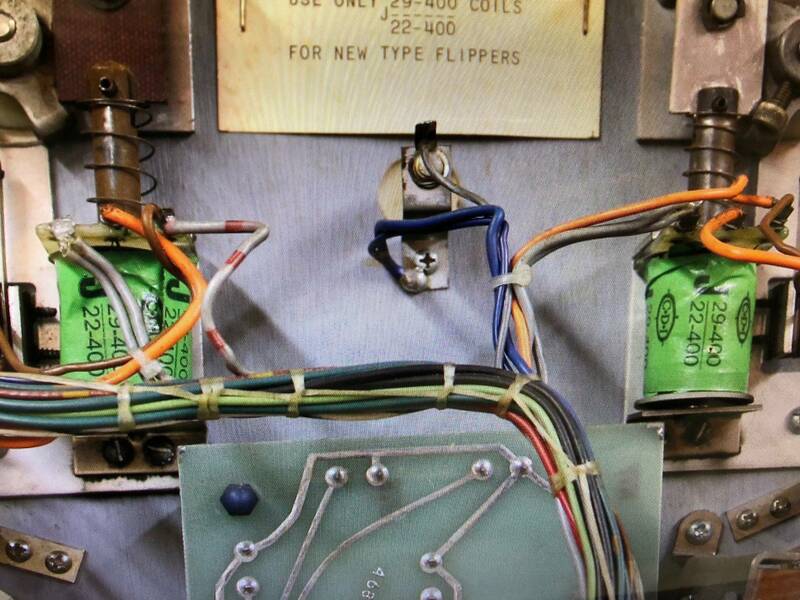 Weak flippers are usually the result of a worn EOS switch or a faulty solenoid. The EOS switch contacts need to be totally smooth with no pitting. If they are pitted, the contacts and/or switches will need to be replaced. You can also check the flipper button switches to see if they are clean. 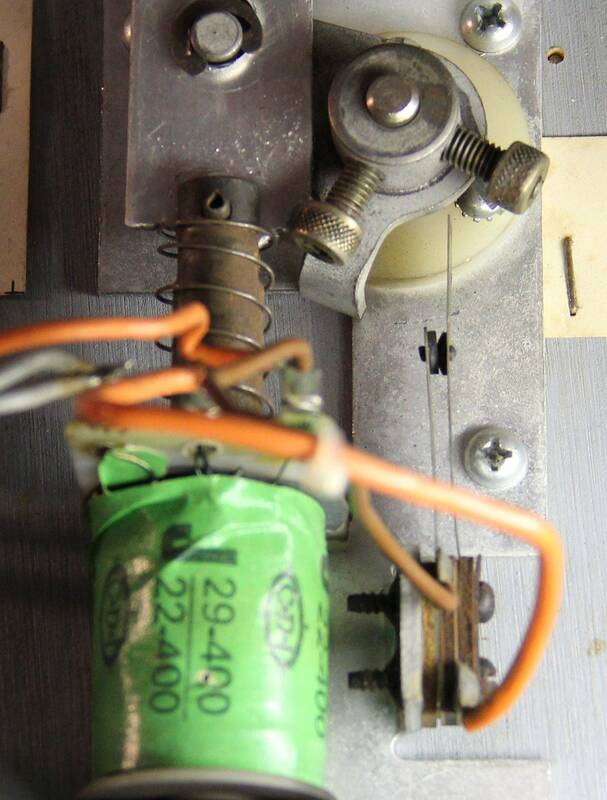 Check the resistance of the solenoids with a multi-meter. The solder joints on the solenoid lugs look suspicious. 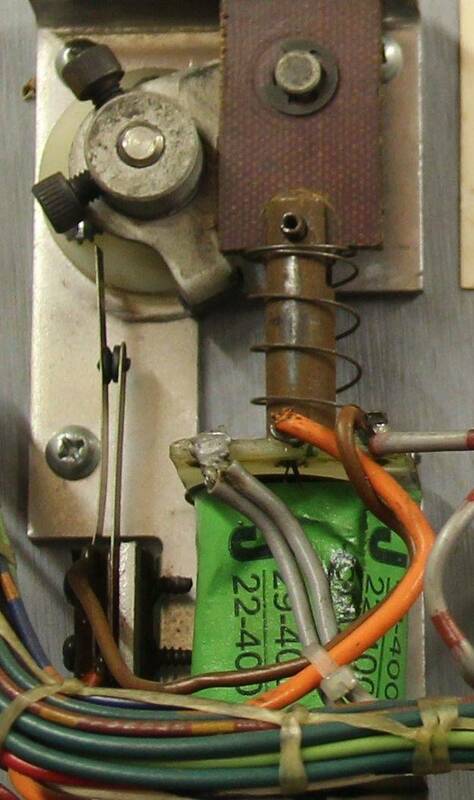 You might want to re-solder the wires to the solenoid lugs. Thanks for the quick reply! I'll try replacing the eos switches and report back. Yeah, mine has the 29-400’s. I replaced the EOS switches, the plungers, and the linkages, and I resoldered the coils. After doing so, the (brand new) EOS switches start arcing before they are even opened (as soon as I push the flipper buttons.) The plasma is putting off some nasty smoke, and the flippers are no stronger. I am ordering new coils today (J29-400/22-400) but I was curious as to what might be going on here in the meantime. All EM switches should be adjusted so the long blade moves the short blade. Yours are probably barely touching each other. Looking at this closer I've attached these closeup pics of the switches in my game. The pic of yours above is a little unclear. It's hard to see if the switches are soldered correctly. ie. It almost looks like one of the wires is going underneath the switch. As if it were soldered to the metal. I'm sure that's not the case but it's hard to see. Also, with power off you can measure the resistance of the coils. Ohm out the resistance between the 2 outer tabs of the coil. Note what that resistance is. Now with the resistance still being measured, open the EOS switch. The resistance should go higher. This is because both coils are being measured. (Sorry, if this sounds too obvious. I don't know what your skill level is.) Oh, also with the EOS switch open, measure the resistance of the 2 coils. The left tap to the middle tap and then middle tap to right tap of the coil.